Can you give up your dreams for those you love? Sacrifice, a word which conjures images of martyrs; of heroic deeds, and great struggles. We all have dreams and yet, due to circumstances seen and unforeseen, they never materialise. Sometimes we give it up for those we love, giving and giving until we realise we have ceased to exist. When it is too late, we cry out, crushed, forgotten, like a horse that cannot work anymore. 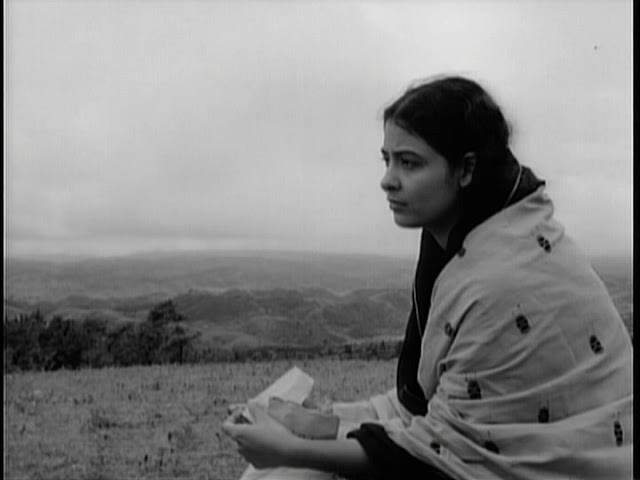 Released in 1960 and directed by Ritwik Ghatak, the film “Meghe Dhaka Tara” (The Cloud-Capped Star), shows this in a poignant and memorable manner. The film revolves around a family of six, the parents and their four children. The father is a school teacher and the mother (played by Gita Dey) is a housewife. The eldest child, Shankar (played by Anil Chatterjee) is unemployed and aspires to be a singer. The second child, Nita (played by Supriya Choudhury) is studying for her MA (Master of Arts). She also teaches kids on the side. The other two children are Gita (played by Gita Ghatak) and Mantu (played by Dwiju Bhawal). Gita is studying in college, though she is not academically inclined. Mantu is a sportsman and is keen on proving his athletic abilities. Despite their education, they are always short of money. The movie opens on a cheerful note, with Nita coming home and we soon get introduced to each member of the family. The father, an educated man, has a habit of quoting Wordsworth and is eccentric in his mannerisms. The mother, due to the perennial lack of money is always grumpy. The eldest son, Shankar often gets scolded by his parents for not working. He wants to be a singer and diligently practices every day. We get an example of his singing prowess when he gets invited to sing in a function. Due to the irresponsible nature of Shankar, Nita must take care of her family. Not only does she meet her family’s needs but also helps her love interest, Sanat (played by Niranjan Ray). Sanat has received job offers but wants to do research. He feels disgusted taking money from Nita to support himself. She comforts him and tells him to pursue his dreams and one day, he will be a great man. Everything seems to be going fine when tragedy strikes and the father suffers an accident. He ends up with a fracture. Due to this, Nita soon leaves her education and takes up a job to support her family. Sadly, the pain has only begun for her. She supports Shankar with encouragement and, sometimes, money. She asks him to forget the bitter words he tolerates every day and to concentrate on his singing. One day, he leaves home and becomes a teacher at a music school. Sanat falls in love with Gita, her younger sister and they get married. Her younger brother, Mantu finds a job in a factory but alas, suffers a grievous accident. Nita takes care of everything here as well. Amidst this gathering storm, Nita’s health starts declining. To her horror, she discovers that she is up coughing blood. Despite all these hardships, she soldiers on. 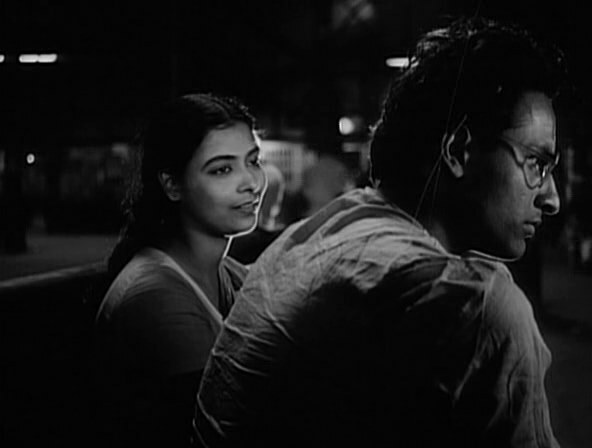 Though the plot might seem overly tragic, Ghatak, through Nita, hits us with a powerful truth. We must learn to live for ourselves as much as we live for our loved ones. As our aspirations are slowly pushed deeper and deeper into a quagmire of responsibilities and obligations, we start breaking down, first mentally and then physically. 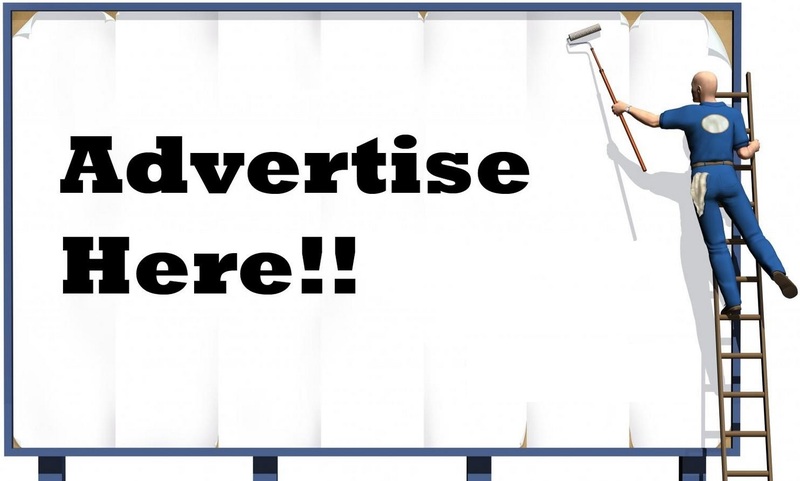 It also shows the crossroad between dedication to one’s art or being practical and getting a job. 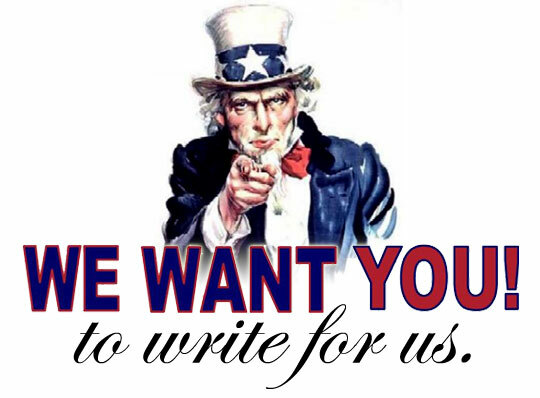 Can we follow our passions and be responsible? Shankar sticks to his guns and eventually becomes a singing sensation. Sanat, who wants to do research, gives up his aspirations and gets a job he has little enthusiasm about. Later, he admits that he does not like going to work. Though made in 1960, the questions being asked are universal and timeless. We have all grappled with them. Is there a correct answer to this? To what extent do you go to protect the ones you love? In the end, Nita had to sacrifice her ambitions so that others could achieve theirs. Through this, Ghatak shows us another somber truth. We rarely achieve anything by ourselves. Anyone who has achieved anything significant in his life had the support of someone. That person’s sacrifice made these people successful. Each character is almost a caricature of different types of people found in a family. The unemployed artistic brother, the girly sister, the responsible daughter, the hen-pecked husband, and the domineering wife. Each character has a signature habit which not only sets them apart, but makes them relatable as well. For example, Nita’s smile, Shankar’s habit of scratching his beard, the comical lines said by the father; they are examples of the idiosyncrasies we all have, that make us unique as individuals. Supriya Choudhury nails the role of Nita. Though in some of the scenes she borders on being overdramatic, she eventually manages to get it right in the second half of the movie. Anil Chatterjee also does an excellent job as Shankar. Even the minor roles are played to perfection. The sound effects deserve a special mention. The sad songs add to the sombre mood of the film in the latter half of the movie. The weird sound produced when Nita is feeling ill add a sense of dread as well. To further add gravity to the situation, Ghatak uses close-ups of the characters as they sing or as they get overwhelmed by the situation they are in. 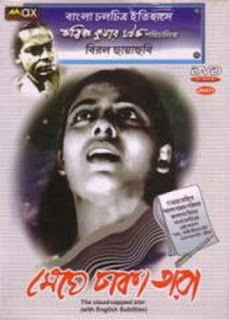 Hence, it is not without good reason that this movie is said to be Ghatak’s best one. 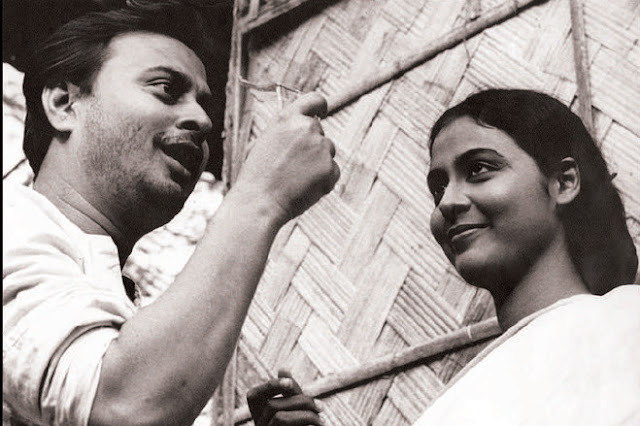 “Meghe Dhaka Tara” has a timeless appeal, since it is so relatable. In its brutality, it teaches us some important lessons in life. Every human being who has ever dreamed, has ever had ambitions, will be forced to question their own lives. A dousing of cold hard reality to break us out of slumber. It makes us think, question, despair, feel hope, it makes us experience what life is all about. Isn’t that what a great work of art supposed to do?